Unlike liquid petroleum product pipelines, where the main risk is a leak leading to contamination of water and soil, the main risk with a high-pressure natural gas pipeline is a rupture and ensuing fire. Ruptures can occur, and have occurred, due to external forces on the pipe (such as being struck during digging), from internal corrosion of the pipe, external corrosion of the pipe, and from failed welds. Such tremendous heat is given off by a high-pressure gas line fire that within a certain distance of the rupture point, buildings are destroyed and lives are lost without actually being touched by the flame. The larger the pipeline diameter, and the larger the operating pressure, the larger this distance is. It can be calculated using a formula that was developed by the Federal government, tested against actual natural gas pipeline explosions and fires, and that is part of the Federal regulations establishing minimum natural gas pipeline safety standards. For the proposed Williams Transco pipeline in Lancaster County, this calculated hazard distance is approximately 1,115 feet. That means if there is a rupture and fire at some point along the line, it is anticipated that buildings within 1,115 feet of the rupture will be destroyed and people within that zone will not be able to run to safety without being severely burned. Just before 8 am on September 14, 2008, a Williams 30-inch diameter, 800 psi natural gas pipeline near Appomattox, VA ruptured and ignited after 53 years of operation. Earlier that year, an inspection tool run through that pipe detected corrosion in the pipe wall, but failed to detect the full extent of it. Despite having recently repaired two neighboring pipelines and discovering corrosion in this third line, in Williams' judgement this pipe did not require repair. 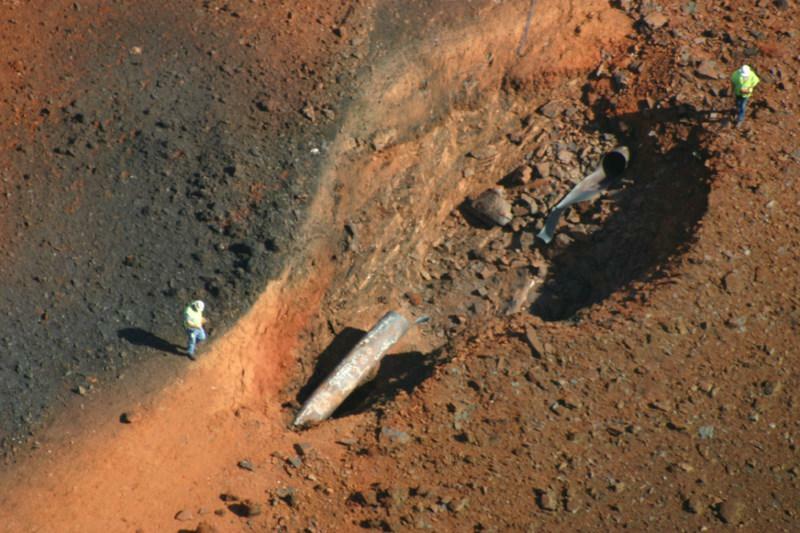 An expert working with the company to determine the cause of the rupture believed that the anti-corrosion coating on the outside of the pipe had been damaged by the rocky soils in which the pipeline was buried. Everything within 560 feet of the rupture was destroyed. For this 30-inch diameter, 800 psi natural gas pipeline that ruptured and ignited, the hazard distance calculated using the formula described above is 585 feet, which is within 25 feet of the real-world result. This shows that the calculated hazard zone for the proposed Williams Transco Central Penn Line South is an accurate measure of the area of Lancaster County that will be at risk, for decades to come, for the type of destruction shown above.